In the light of the collection and retention of confidential biometric information, Chief Justice Dipak Misra observed that there is an infringement of the right to privacy. He added that legitimate state interests must be pursued with the least possible invasion of privacy. On Day 30 of the Aadhaar final hearing, senior counsel Rakesh Dwivedi, appearing on behalf of the UIDAI, addressing the concerns regarding Aadhaar operating as an instrument of exclusion, drew the attention of the Supreme Court five-judge bench to the notification issued under Section 7 of the Aadhaar (Targeted Deliveries of Financial and Other Subsidies, Benefits and Services) Act of 2016 mandating Aadhaar for the delivery of entitlements under the National Food Security Act, 2013 (NFSA) through the public distribution system. “The Notification permits beneficiaries of subsidised food grains or Cash Transfer of Food Subsidy, who have not enrolled for Aadhaar, to produce their ration card as ID proof... If Aadhaar number is not assigned to all members of a family, then any one member of the eligible household listed in the Ration Card may fulfil the identification clauses...,” he quoted. The discussion centred on the three alternatives to Aadhaar in Section 7 for securing access to ‘Subsidies, Benefits and Services’- furnishing proof of possession of Aadhaar number; proof of application for enrolment; or other viable means of identification. “There may be regions in the country, such as areas in J&K and Sikkim, where the Aadhaar facility has not completely permeated...,” noted Justice DY Chandrachud. “The alternatives in Section 7 come into play in such areas, if any,” assured Dwivedi. When the senior counsel sought to submit that no right is absolute, Justice Chandrachud remarked, “Constricting the choice of means of identification to only one ID proof may not be a proportional restriction”. “Where certain entitlements are to be availed from an institution, any regulatory requirements that it may have in place have to be complied with,” responded Dwivedi. “Where one’s sensitive biometric information is being linked to every transaction they engage in, the Aadhaar is no longer only a means of identification,” observed Justice Chandrachud. “One finger impression that is sought at the time of authentication cannot divulge any details about anyone,” replied Dwivedi. Justice Chandrachud observed that one fingerprint or iris scan, when coupled with information under other heads, could create a complete profile. He also ventured the possibility of accumulation of the records of different ‘requesting entities’. “The authentication in respect of the PAN card is undertaken only once...similarly, when a SIM card is procured, the need for authentication arises only at that instant...there is no tracking in real time...,” submitted Dwivedi. Objecting to the contention that there is no tracking in real time, senior counsel Shyam Diwan referred to UIDAI CEO Ajay Bhushan Pandey’s demonstration of the withdrawal of money from a bank account using the thumbprint. He also submitted that he is required to authenticate with his thumb impression on every occasion he wishes to use a Fixed Deposit. Dwivedi responded that the thumb impression is sought only at the time of linking the bank account with the Aadhaar number and not for every transaction. He also pointed out that people in general access their FDs only rarely. In respect of the argument regarding the dignity of an individual, Dwivedi advanced that the Preamble of the Constitution envisages a resolution by the people of India “to secure to all its citizens” economic, political and social justice, liberty and equality of status and opportunity; and “to promote among them all” fraternity assuring the dignity of an individual. He submitted that ensuring fulfilment of the fundamental requirements of existence, which statutes such as the NFSA aim at, is indispensable for securing justice and dignity which are a part of the basic structure of the Constitution. Justice Chandrachud remarked that the Constitution encompasses a comprehensive view of the concept of dignity of an individual. Justice AK Sikri noted that both food as well as privacy are constituents of the dignity of a citizen. 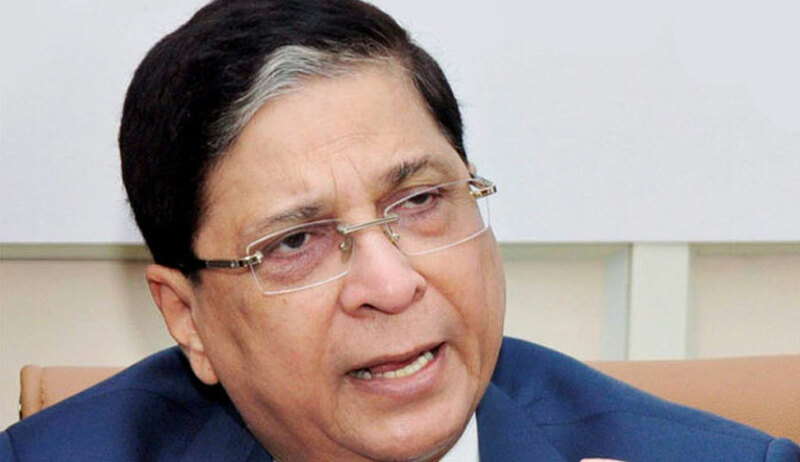 In the light of the collection and retention of confidential biometric information, Chief Justice Dipak Misra also observed that there is an infringement of the right to privacy. He added that legitimate state interests must be pursued with the least possible invasion of privacy. On Wednesday, Dwivedi relied on the judgment in Kesavananda Bharti and the 2014 NALSA judgment on transgender rights, in context of the dignity of citizens.